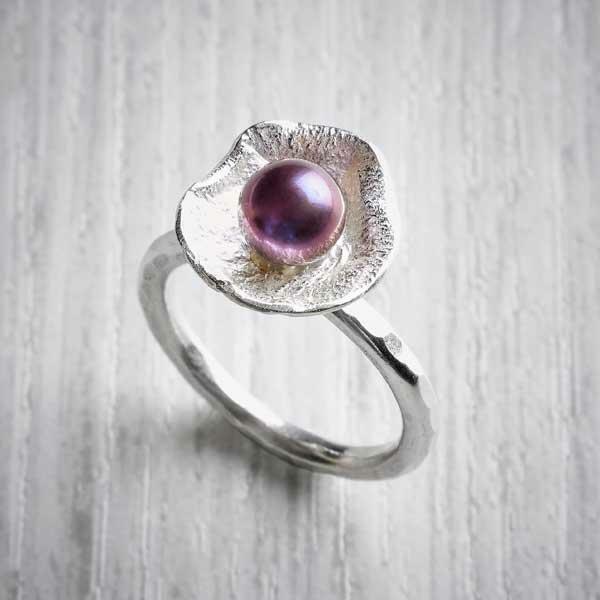 A fabulous little ring with an unusual surface and a beautiful pinky purple pearl set into the cup. 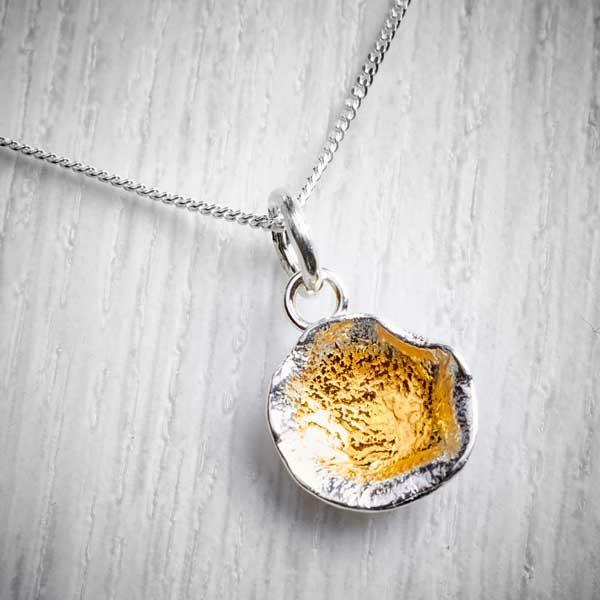 The oyster shell inspired pendant has a matt reticulated finish with highlight polished edges. 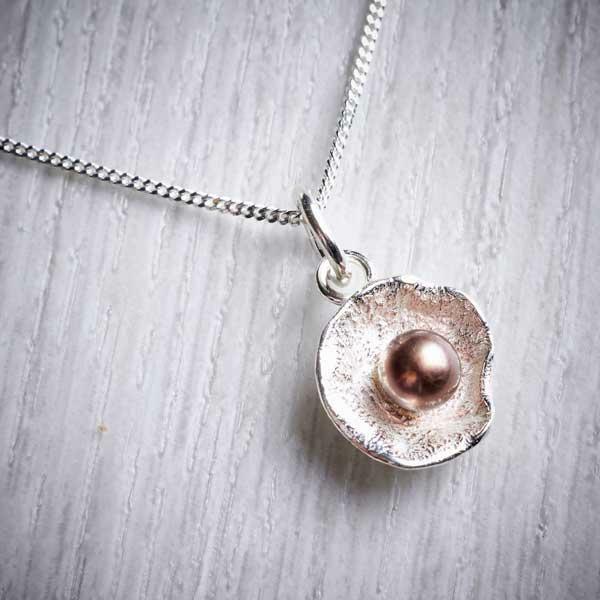 The centre is completed with a peacock pearl. 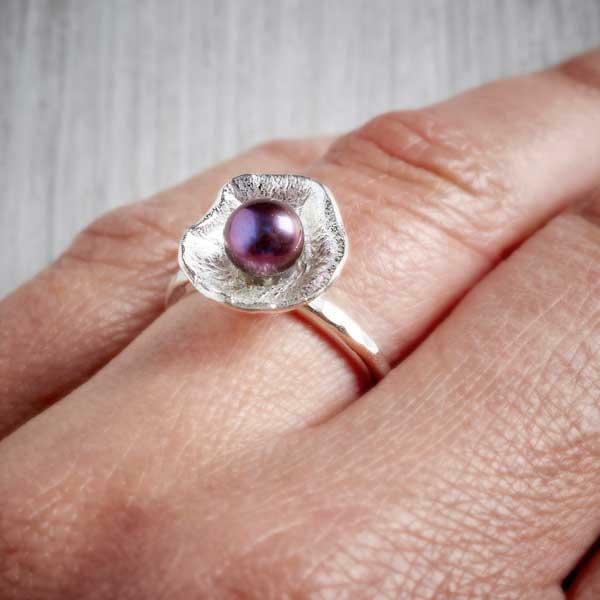 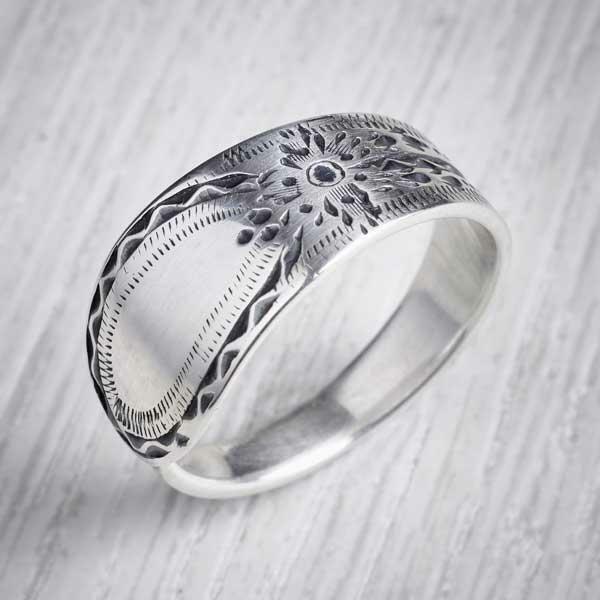 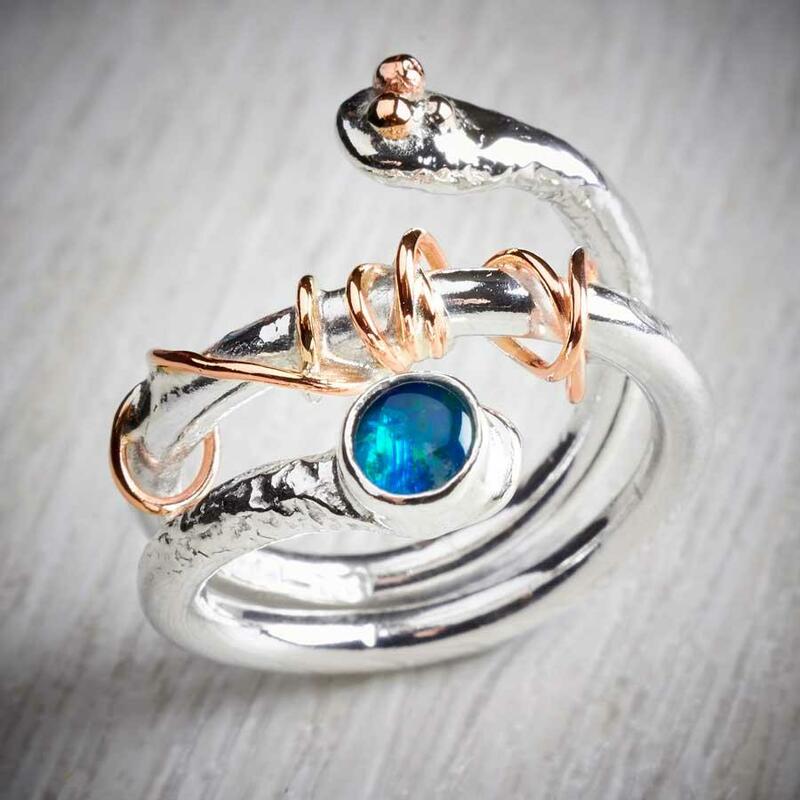 The oyster shell ring has a matt reticulated finish with highlight polished edges and finished with a beautiful peacock pearl into the centre The oyster has been handmade and then cast. 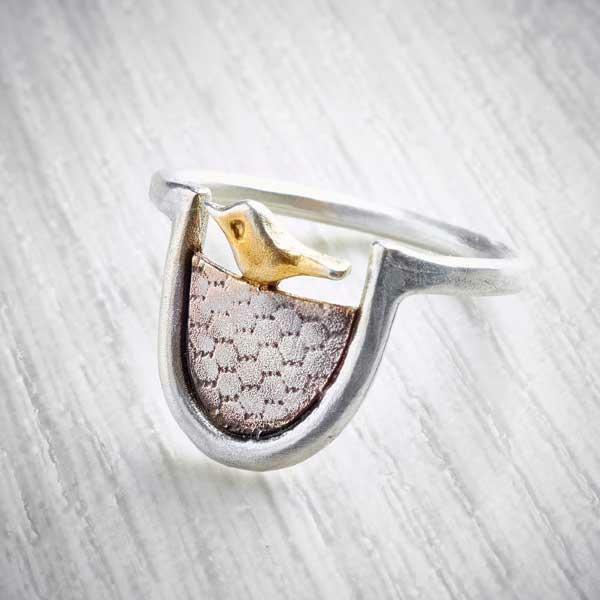 The surface is reticulated for a melted finish. 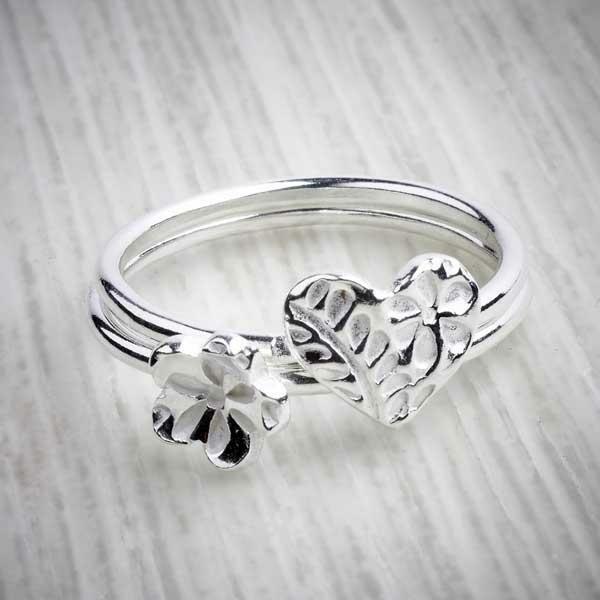 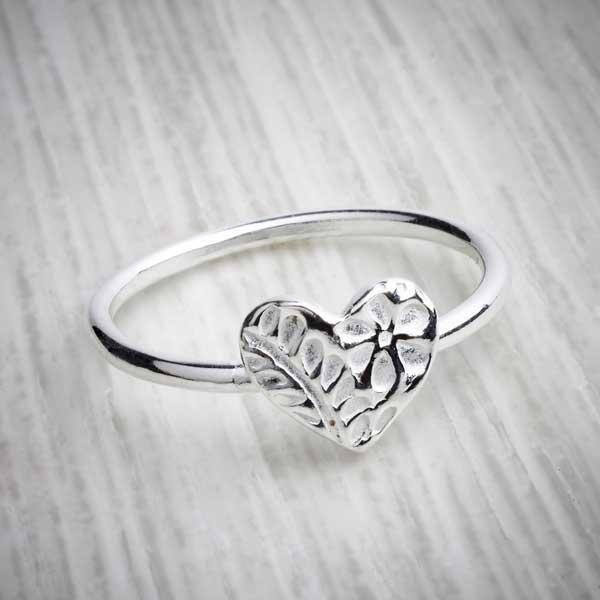 This ring is simple and elegant. 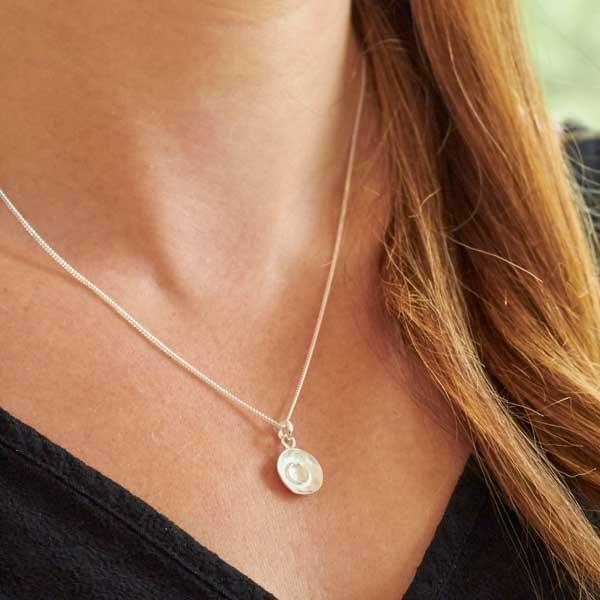 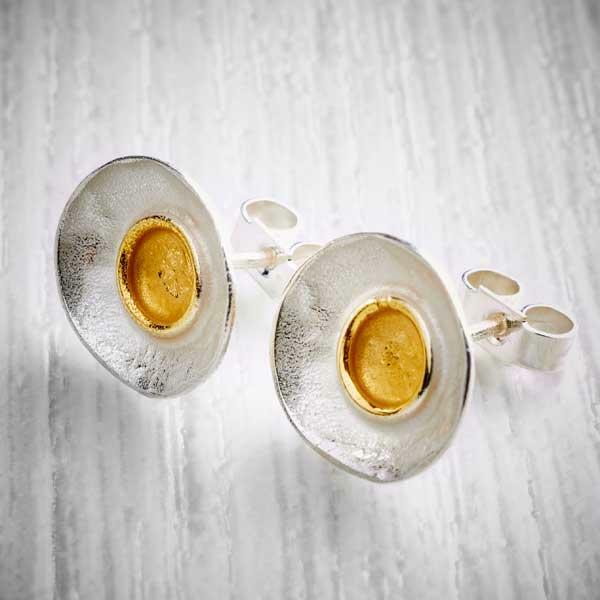 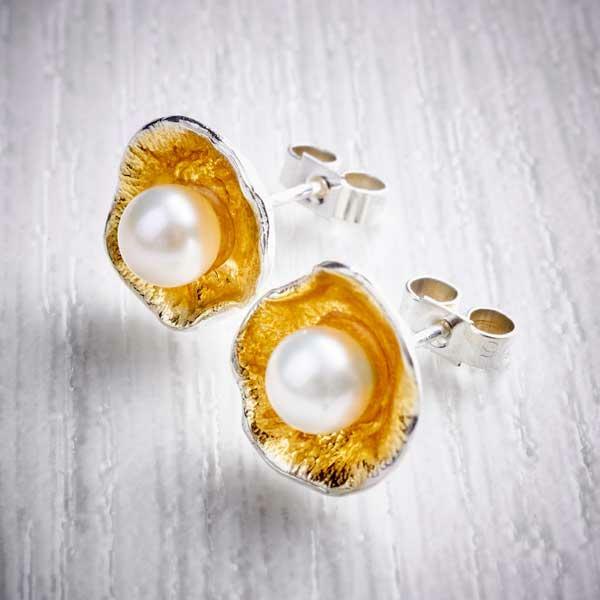 It is great to wear every day, matching pendant and stud earrings are available. 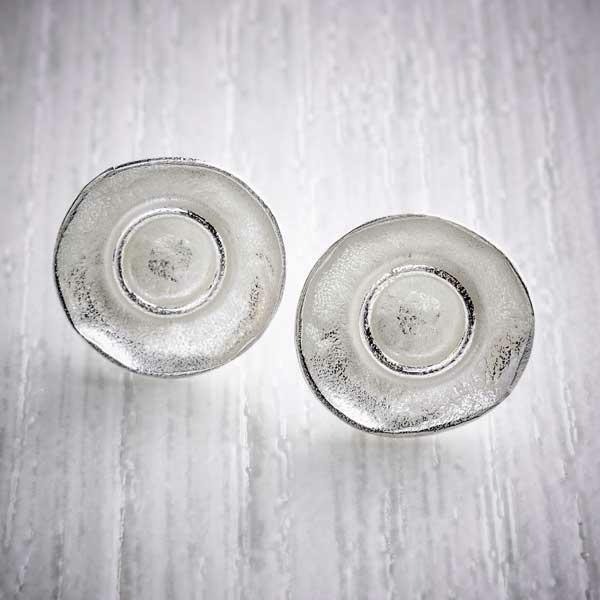 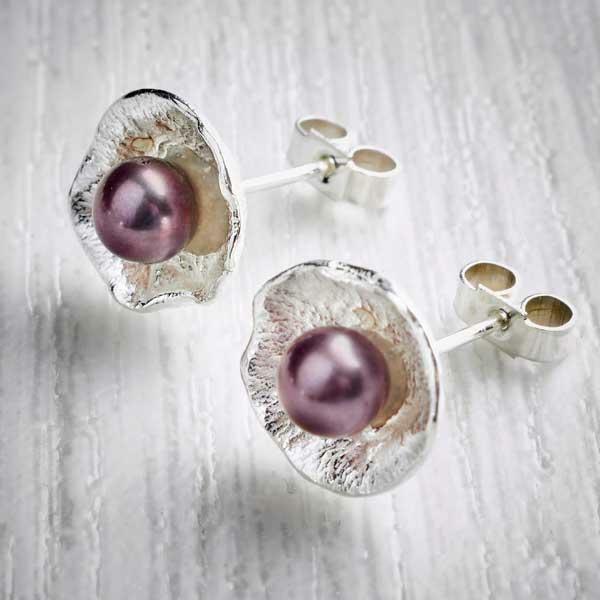 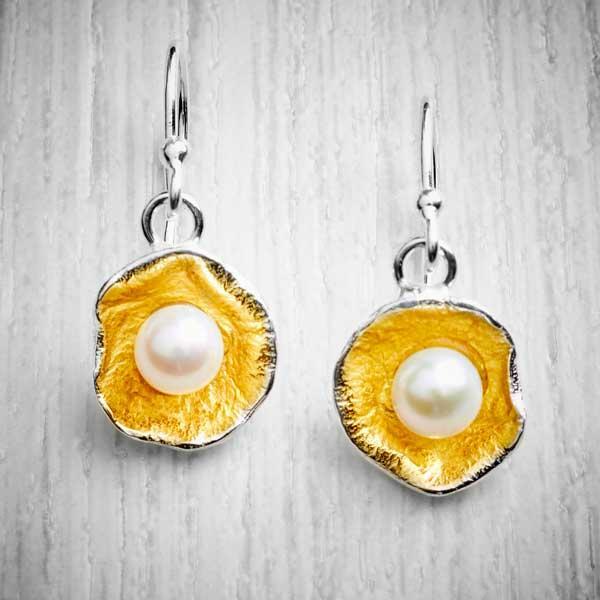 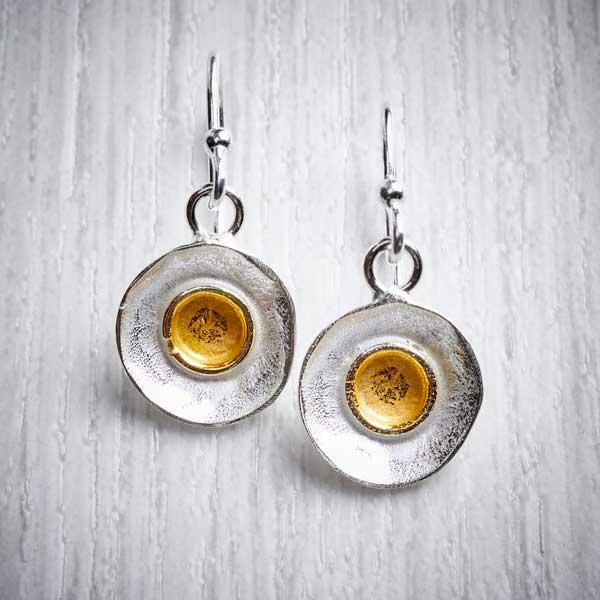 The oyster cup is 12mm in diameter and 3mm in depth. 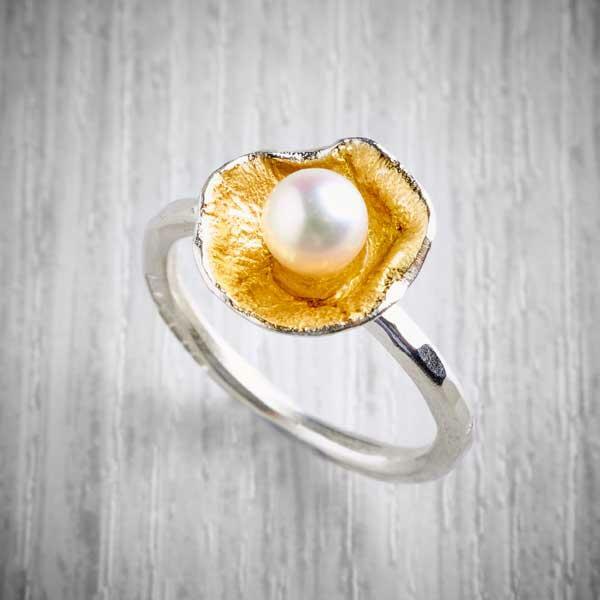 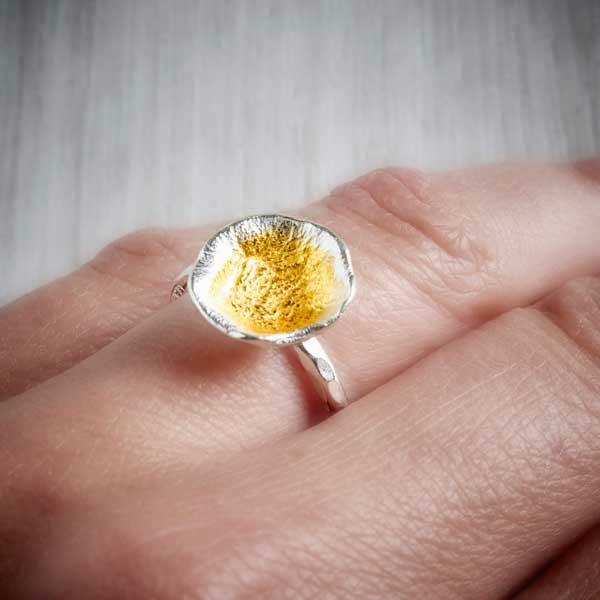 The oyster cup is set on a 2mm ring. 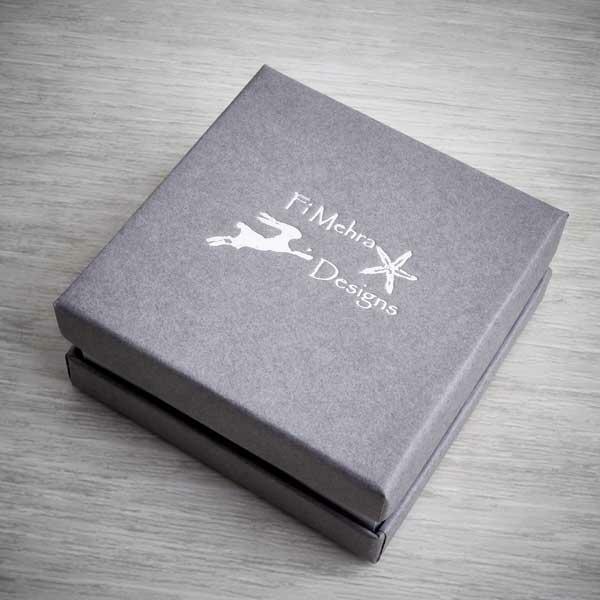 Your ring will arrive boxed and carefully packaged.